In life, there are few certainties, one in particular which you will be exposed and subjected to is compliance training. It is not everyone’s favorite and with good reason. Compliance training as we know it is meant to be a boring and highly regimented experience. But as many before me and many after me have pointed out, it does not have to be. Believe it or not, compliance training as we know it is slowly evolving. People understand the dry sentiment that they are providing to their workforce and are focusing on techniques in which they can improve delivery, effectiveness, and user attention. Now, with that being said, some compliance training needs to remain a serious ordeal, as it may be irresponsible to portray the solemn hazards of nail guns, radiation, forklifts, and other potentially dangerous exposures in the methods in which I am going to be suggesting below. Funny Sells. Think back to all of your favorite Super Bowl commercials over the past few years. It may all seem a blur, but the bits and pieces you can piece together are either the ones that weave strong storylines in 30 seconds or the ones that were funny enough to cause you to spit out a little bit of your beverage. The same concepts can be applied to Compliance Training. Workplace safety is no joke and should be portrayed in a serious manner. However, components of workplace training are already funny within themselves. Remember, the reason there are rules and behaviors we need to implement, is because someone has actually done some of this stuff, not only in your organization but on a global level. Do not be afraid to call out the humor in common sense practices, and verbalize the humorous natures of some of the experiences you yourself have undergone. This practice will go a long way in extending the message you are attempting to portray to your personnel, as a few laughs here and there could be all you need in order to keep the focus of the individuals undergoing the training. It is worth mentioning that there is a very fine line of acceptability here, as it is very important not to eclipse the severity of the topic in which the staff is being trained on. As the other component of the Super Bowl example, stories can be equally important to furthering the retention of the messages you are attempting to convey. Be sure when implementing this method that you structure a believable storyline, develop characters, and incorporate real-life scenarios. The course message can be conveyed more effectively if the people undergoing the learnings can identify with the storyline they are presenting. This can best be achieved through the understanding of the class breakdown and through the establishment an underlying course strategy. These stories can be further augmented with the inclusion of participation. Choose your own outcome books have been commonplace in bookstores for years. Why not preface the group with some specific examples allowing them to see the downfalls of their chosen pathway. When importing the concept into your Compliance Training it is imperative that the employees can see for themselves both the hazards of selecting the wrong outcome, as well as the success of maintaining compliance. It is important when implementing these methodologies to not lose sight of the purpose of the compliance training. There are specific rules, guidelines, and regulations that need to be conveyed to the participants. Humor and storyline serve merely as a vehicle to better deliver this content and above all, these norms are the true reason for the training. A clear focus on the required outcome of the compliance training can lead to a better picture of the true necessary components of what is being presented. Understanding the interworking of the course can go a long way towards structuring a concise offering that is best received by the employees undergoing the courses. A lot of programs have migrated instructor-led compliance training over to e-learnings, which as a format can easily contain the components suggested above. The nature of this format itself is a bit more conducive to a shorter program emphasis. If a compliance training e-learning seems a little long, consider breaking it up into micro learnings which can serve the purpose of further conveying the message of the training itself and aid in the retention of the course. Be sure to take advantage of all of the available mediums, not using them for the sake of using them; but instead utilizing video, audio, games, and etc. when appropriate to further the impact of the content. 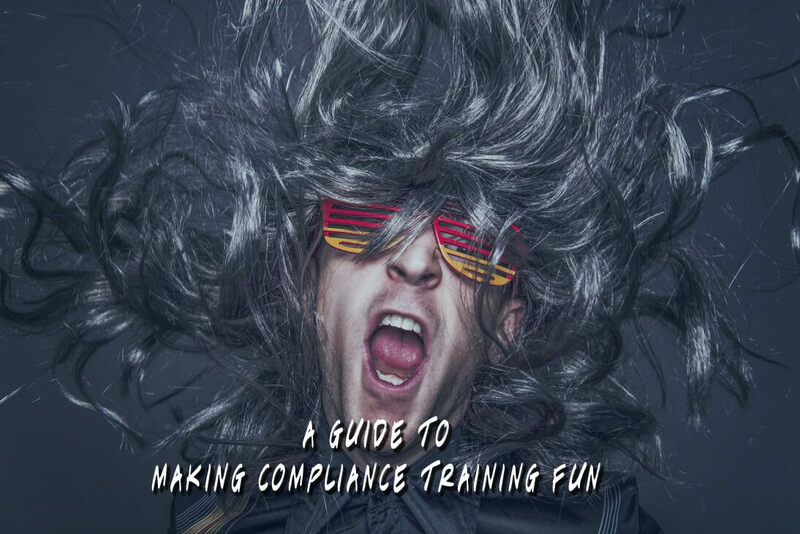 When devising a compliance training program, have fun with it. If you go into the process thinking that it is a boring, regimented, and necessary evil that your employees must undergo, then that is how they will view the offerings. Be sure to consider adding comedic elements, structuring stories that are relatable to the workforce as opposed to just listing the compliance factors as what they are, while carefully focusing on the rules and regulations you are attempting to portray onto the class itself. To add some icing on the cake, compliance training does not need to be an all-day event, be sure to consider the implementation of micro-learnings to further the ultimate reach of the courses. I hope you have enjoyed this post and continue to join us here at the Gyrus Blog as we discuss all topics pertinent to the learning industry.